A&R has been dedicated to the best in 12" vinyl pressings, CD & CD Rom replication, serving artists and corporate clients worldwide. Mastering, disc cutting, printing and graphics services available. We press vinyl records in house using a fully automated custom modified SMT 12 inch press. Record manufacturing creates excess vinyl which gets trimmed off the edge. Almost every pressing plant regrinds this vinyl and mixes it in with virgin vinyl in their production chain. If not done properly, this introduces foreign elements in the vinyl (fluff) which ends up affecting the quality of the final record. We only use 100% virgin vinyl at Capsule Labs and collaborate with local artists to recycle our excess vinyl into art instead, we will be featuring some of the vinyl art on our website soon. Our engineer Gil Tamazyan then cuts 10" or 14" master lacquers for 7" and 12" releases respectively, as well as 7" or 12" reference discs, on our custom modified Neumann VMS 66 cutting lathe. We take great care in optimizing the groove spacing and cutting depth to give you the loudest, cleanest cut vinyl allows for your runtime. We also provide direct-to-disc recording of live performances cut straight to lacquers with no digital step in the audio processing chain, for the purest and warmest analog sound available anywhere today. If you are interested in finding out more about our Direct-To-Disc Sessions, contact us. Erika Records is a vinyl record pressing plant that has over 30 years experience in the vinyl record manufacturing business. Erika Records is capable of producing traditional vinyl records to anything else you can imagine. 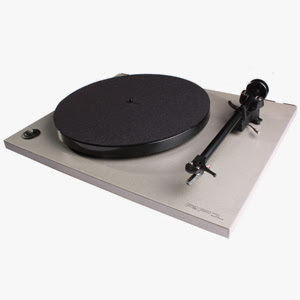 Erika Records will provide you with a top quality product and excellent customer service. We require no or low minimums on your vinyl records order and our professional Customer Service Representatives are available to help you every step of the way. Whether this is your first time pressing vinyl or you are an industry professional, you will always receive our one on one attention to your vinyl record project. Erika Records can produce your vinyl record product in a timely and cost effective manner; be proud to say "Made in the USA!" Erika Records can press all your traditional vinyl records in any size range from 2" to 12", with 13" records coming soon. Not only can we fulfill all your traditional vinyl record needs we also are the go to company for colored vinyl records, picture records, shape vinyl records, etched vinyl records, splatter vinyl records and picture shape vinyl records. Erika Records offers a state of the art vinyl record lacquer mastering lab that will ensure you produce a top quality vinyl record. Erika Records has been creating unique and custom record shapes and picture records since their inception. 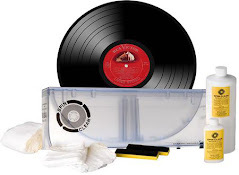 Being one of the first companies to make picture and shaped records; we have pressed picture records for Elvis Presley, Michael Jackson, Lady Gaga, KISS, Bon Jovi, Sublime, Gwen Stefani, Tim McGraw, Jack Johnson, Mars Volta and more. We are the leader in being able to take your vinyl record vision to the next step, with unique and creative options that will take your vinyl record from traditional to WOW! When the big companies are looking for a unique and top quality finished product they come to Erika Records. We pride ourselves on the quality of our work and the materials we use. 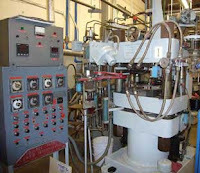 We use only top of the line vinyl to create a great vinyl record product that will stand the test of time. While we specialize in unique and custom records we are a record pressing plant and a good majority of our business is traditional vinyl records. No matter how large or small your vinyl record job is we have the experience and know how to get the job done on time. Gotta Groove Records - "Groove With Us" (1 Min Version) from Nick Cavalier on Vimeo. 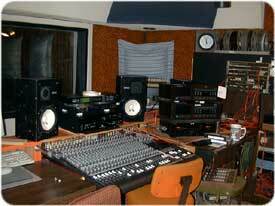 Musicol Recording Studio has been located in Columbus Ohio for over 40 years. Our customer service and quality recording facilities have kept our repeat business alive in the Columbus area. We are dedicated to providing you with the best service whatever your needs may be. Our studio equipment is top-notch and our engineers are among the most knowledgeable in the industry. We would be happy to answer any questions you may or, if you have a specific need, please feel free to complete our form and receive a free quote. Record Technology is a world class record pressing plant located in Camarillo, California. We press for most audiophile record labels and for many quality minded independent and major record labels from around the world. Also on site is AcousTech mastering, offering LP lacquer cutting and CD pre-mastering. United Record Pressing, LLC (URP) began in Nashville, Tennessee in 1949, when it was known by the name Southern Plastics. One of Southern Plastics top clients was Vee Jay Records out of Chicago. It was Vee Jay that pressed the first Beatles 7"s in America, prior to Capitol signing them. In 1962, Southern Plastics relocated to the current site of United Record Pressing which is the same location that pressed those Beatles 7"s.
Southern Plastics would eventually change its name to United Record Pressing in 1971. In addition to the numerous important records that have been pressed in this plant, United managed to create a little history on its own. When the current URP plant opened in the 1960's it was a very different time in the South, Nashville included. In the early 60's there were hardly any restaurants or hotels in Nashville that would offer their services to African Americans. With top clients like Vee Jay Records and Motown being run by people of color, the company was in need of accommodations for their clients and created what we now call the "Motown Suite", an apartment located above the factory. The Motown Suite which is still viewable to guests touring the plant, displays the same furnishings that these execs were offered including a common room with a bar, a turntable, enough seating to entertain guests, a full bathroom, a double occupancy bedroom, a kitchen equipped with an old push button stove and other novel 60's decor. URP still uses the kitchen as a meeting room, with our staff sitting at the same 60's dinette set that Motown, Vee Jay and other label executives and artists used. Another feature of historical significance is the party room, located just steps from the Motown Suite. This large room was once used as an event room and hosted record label signing parties for folks including Wayne Newton, The Cowsills and a then 16 year old Hank Williams Jr. Currently, the party room functions as a museum of Southern Plastics / United Record Pressing's historical significance along with a brief history of recorded music. The museum room still pays tribute to the party room's history by featuring some of the original furniture from its heyday. France MPO Magnetic Mastering, Marseilles NEW in 2010 !! Russia New plant coming very soon. Alpha Toolex automatic presses and Neumann VMS70 lathe with SX74 cutterhead and Ortofon cutting amps. Switzerland None. Small one Fabel press operation coming soon. Closed in 2009 : Orlake Records (owned by Vinyl Factory) and Quick Press Productions. Closed in 2010 : Two "under the radar" plants producing pirate. counterfeit and bootleg records. Pearl Jam have recently announced details of a new live album called ‘Live On Ten Legs. 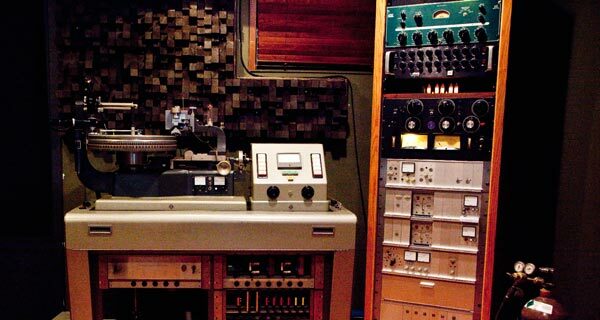 The 18-track LP, due out on January 17, will features song recorded between 2003 and 2010 by band engineer John Burton. Pearl Jam released their last live album ‘Love On Two Legs’ in 1998. They released their last studio album 'Backspacer' last year. Montreal rockers The Dears have announced the release of their new album, 'Degeneration Street.' The releases finds Murray Lightburn, Natalia Yanchak, Patrick Krief, Robert Benvie, Roberto Arquilla and Jeff Luciani creating a sweeping collection of orchestral rock that is at once enlightening, angst-ridden and mesmerizing. Set for a February 15th release on Dangerbird Records, the signature sound of The Dears was captured and produced by Tony Hoffer (Phoenix, Belle and Sebastian). Hot Topic have announced they will be pressing Blink-182's debut album, 'Cheshire Cat', on vinyl in December. The release will be limited to 2000 copies and will be pressed on blue/yellow swirl vinyl. Anyway, the music and musicians were superb! Talking about the album’s “Pieces and Bits” title, Gaudreau describes the “Pieces” as fully instrumented production numbers, while the “Bits” are bare bones versions of shorter tunes. The recordings demonstrate the dazzling Bluegrass mandolin and guitar work for which Gaudreau has become known, but also touch on influences from Jazz, Blues, Celtic, and Folk music. Stuart Martin, Goose Creek's chief sound engineer, co-produced the project and worked closely with Gaudreau to get the right natural tone for every instrument, from octave mandolin to 12-string, archtop acoustic, and flattop guitars. Jimmy Gaudreau has long been regarded as one of the top Bluegrass performers in the world. Since getting the call in 1969 to move to the Washington, DC area from his native Rhode Island and join the legendary Country Gentlemen band, he has performed with a veritable Who's Who of Bluegrass bands and earned a reputation as a mandolin maverick with a sound and a style all his own. In addition to two stints with the Country Gentlemen, Gaudreau has also performed with JD Crowe and the New South, with The Tony Rice Unit (for 9 years), and with his own bands Country Store, Spectrum (with Bela Fleck), Chesapeake, and Auldridge, Bennett & Gaudreau. He is a former member of the Country Gentlemen Reunion Band with Randy Waller, Eddie Adcock, and Tom Gray and was a part of Carolina Star with leader John Starling, and bandmates Mike Auldridge, Rickie Simpkins and Tom Gray. Jimmy also has performed in duos with Jack Lawrence and Orrin Star and Moondi Klein. In 2005, Gaudreau was inducted into the Society for the Preservation of Bluegrass Music in America's "Hall of Greats" and featured in a Mandolin Magazine cover story. In 2008, Gaudreau and Moondi Klein opened for Emmylou Harris during her summer tour series. Founded in 2008, Purcellville, Virginia-based Goose Creek Music and Entertainment was started by president, Mike Pugh, a media producer and publisher who combines studio recording, live music events, advanced audio production facilities, and new-media distribution techniques to produce audio and video recordings of Baltimore, Washington DC, and Northern Virginia musicians. Goose Creek Music is a multimedia music production company. We capture great performances by artists from the Washington DC and Baltimore music scene, and produce live audio recordings, television shows, and video shorts. Goose Creek also works with local artists to record studio projects, create music videos for promotional purposes, and market their music on the Internet.